Rac n Roll, one of the original pioneers of the rolling dance bag, is proud to introduce their latest model, the Rac n Roll Dance Bag 4x. Now on 4 wheels! Put your wardrobe on wheels and help make travel to competitions and performances a breeze. 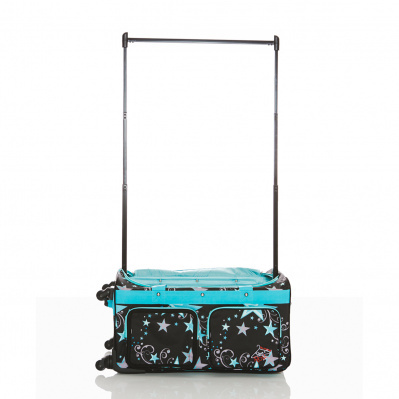 The bag includes multiple exterior and interior pockets, four rolling wheels, a collapsible handle, and “D” shaped metal rings on the inside (great for keeping costume hangers in place during travel). 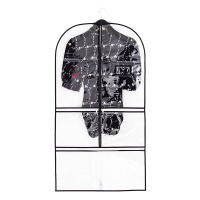 This sturdy, durable large size bag holds up to 15 costumes, and includes extendable rods giving you a convenient place to hang them. Even in the smallest of dressing rooms, costume changes will be simple! 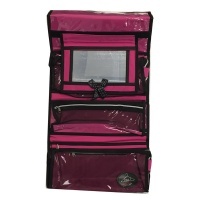 The Large Rac n Roll dance bags measure 33 x 16 x 14 inches and weigh 12 pounds. The rack height is 54” when extended. They are also available in a Medium size here.